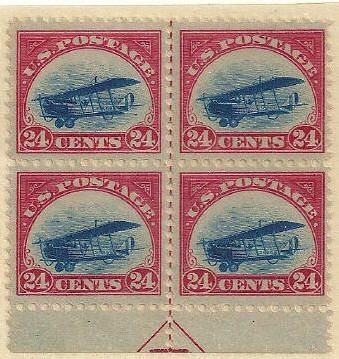 To commemorate the 100 year anniversary of the first United States Airmail Stamp, this presentation includes the production history of the 24ct “Jenny”, (Scott C3/C3a) showing printing varieties, early flight cancellations, and various related period material including photos. We hope you enjoy and find this compilation interesting and educational. This exhibit has been and will continue to be shown at various stamp shows during 2018. So far it was shown at Atlanta South East Show, Plymouth Stamp Show, Birmingham at AmeriStamp, Westpex, Cardinal Spellman Museum, Boxbourgh, Pipex, at Napex in June 2018, and at StampShow 2018 in Columbus. Note: in order to obtain the highest resolution download simply click on this image and save the PDF on your computer. 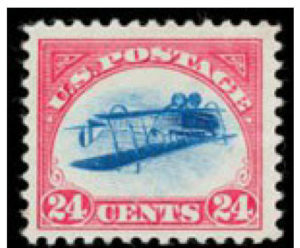 This presentation presents most of the material shown in the 5 frame exhibit but continues to include the next two United States Airmail Stamps, the 16ct and 6ct “Jenny” stamps. The initial 24 cent rate (C3) began on May 15, 1918. The rate was reduced to 16 cents (C2) on July 15, 1918 and again reduced to 6 cents (C1) on December 15, 1918. This exhibit can be seen for an extended period at the American Philatelic Center in Bellefonte, PA., and the College Park Aviation Museum in College Park, MD. 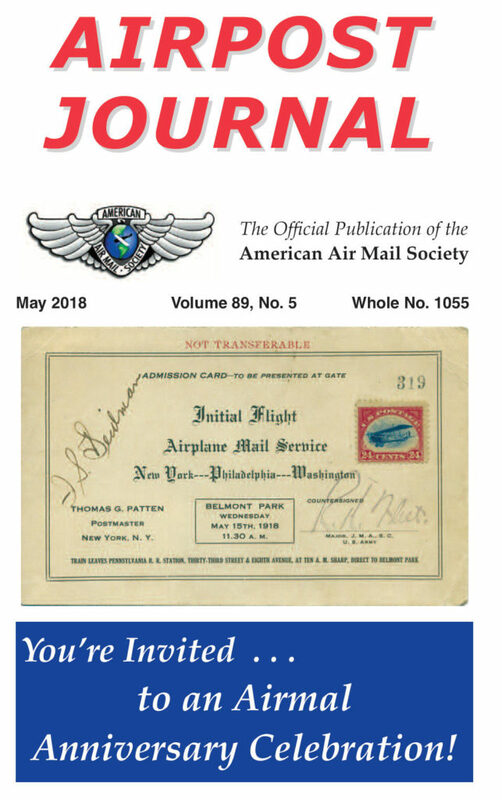 Both the AAMS Airpost Journal and the APS American Philatelist have published May 2018 special editions celebrating 100 years of Air Mail. 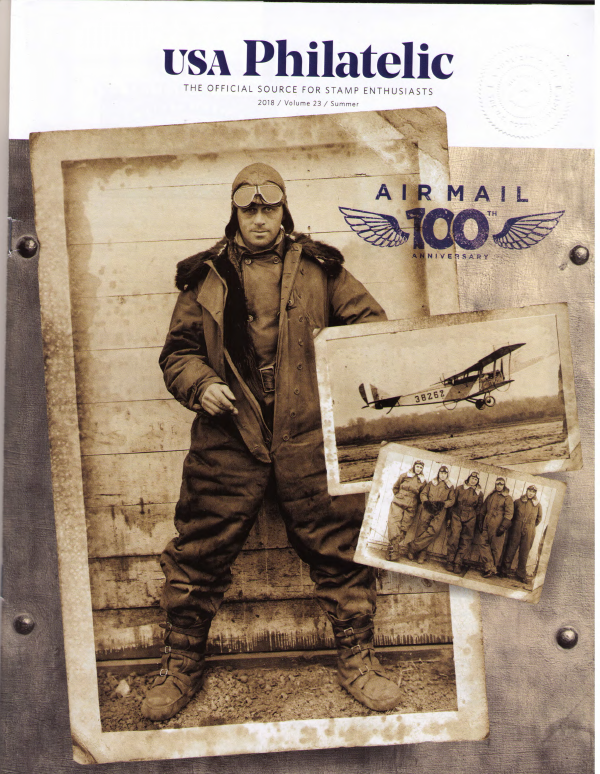 The USPS published a summer 2018 edition of its stamp catalog USA Philatelic for the 100th anniversary of airmail.